Way back in July Donald Trump travelled to Scotland to open one of his golf courses. At the press conference there, one of the assembled hacks asked him what he thought about Brexit. Trump was very positive, stating that the strong pound had meant that Britain had lost trade. Now it was weak, trade would recover, and we Brits had taken our country back. This annoyed the guid people north of the border, as the majority of Scots had voted to remain. In this clip from the American Full Frontal satirical news show, the former Doctor Who, David Tennant, reads out some of the tweets directed at Trump by outraged Scots. Warning – there is a lot of profanity, so be careful where you play it. As the Beeb used to warn audiences, it’s not really suitable for children and those of a sensitive disposition. On the other hand, some of the insults are highly inventive despite the obscenity. One of the show’s hosts, Samantha Bree, asks Tennant, as a former Dr. Who, if he could go back in time to stop people voting Brexit. Cue that clip from Dr. Who, of the Doctor explaining how he can’t go back in time to save people. Of course, it’s not just Trump’s stupid and ill-informed comments about Brexit that have angered people in Scotland and across the rest of the UK. 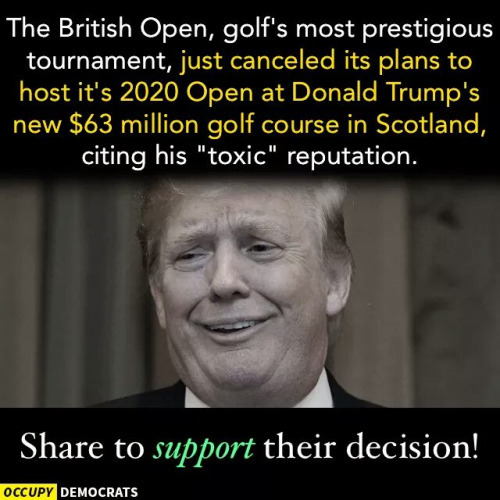 He’s also managed to make himself massively unpopular by purchasing land and trying to get people evicted from their homes for his wretched golf course, in an area that already has far too many of them. Scots already had one good reason to despise Trump, quite apart the threat he poses to peace and any chance of international prosperity and justice throughout the world if he gets to be America’s next president. His remarks praising Brexit were just one insult too many, and so the floodgates opened to this wave of spleen and vitriol. Which he justly deserved. 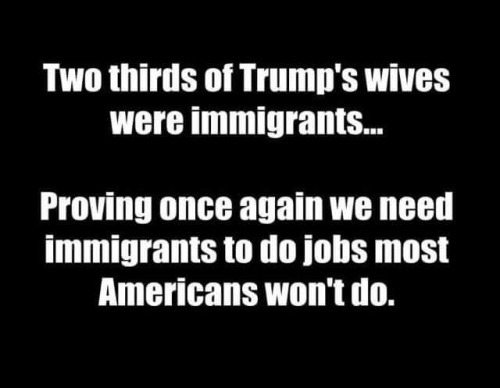 I found these two memes commenting on Trump on the Tumblr site 1000 Natural Shocks (over 18s only). Kudos and plaudits to the golfers. Mind you, from what I gather the ordinary people of Aberdeen really didn’t want his golf course in the first place. There was a piece on the news a few years ago reporting that, in opposition to what the local authority and Trump wanted, the ordinary people felt that they had enough golf courses and clubs already, and what they really wanted was housing and community facilities. I’m inclined to agree with them. Still, it’s cool that the organisers of the British Open don’t want to endorse Trump in front of visitors from the whole world.